Create a stunning wet room for a lot less than you would think with Q4 Bathrooms. Offering full waterproofing for your entire bathroom space, not just the “wet” area, our wet rooms are easy to install across concrete and timber floors. High drainage performance protects from leaks and spills. Flexibility in our wet room product range means your wet room can be installed across one level, or on a slightly raised surface if you’d prefer a step-in showering area. Each product is water resistant, anti-bacterial, and strong enough to tile. Choose a shelved niche for effective storage, and a grate with a hidden drain for a seamless look. What comes in the wet room kits? Q4’s wet room kits ensure you’re getting everything you need to install your wet room ready for tiling. Containing fixing adhesive, tape sealer, sealing filler and inner corners, create your wet room with peace of mind. 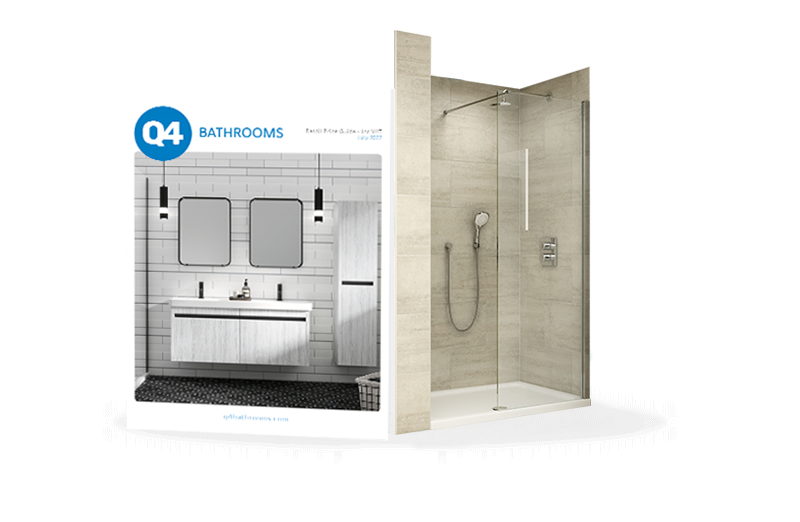 Why buy wet room kits from Q4?